Randay – Lifestyle You’ll Love! 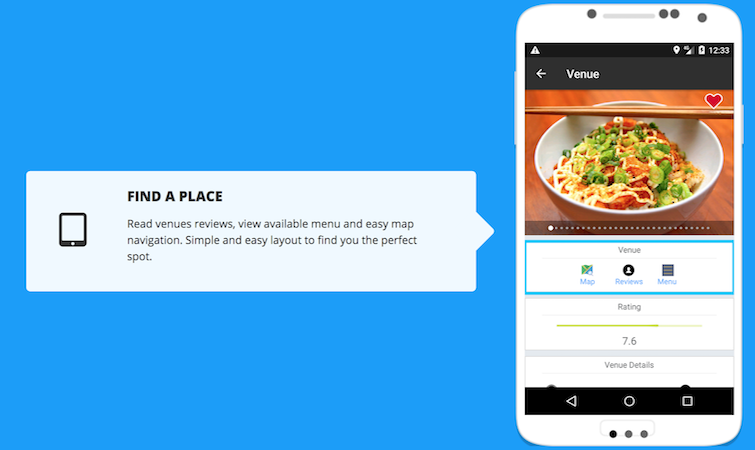 Randay is an Android App to find local random venues and activities. I find Randay useful when I’m traveling somewhere and don’t know anything about that place whatsoever. You just hit Randay Food and here we go on my way to some local food venue. When your belly is full you can hit Drinks for some drinks, isn’t it? Couple beers or Mojitos and you will find you on your way to Clubs around. Imagine spending your who day randomly, spontaneous and adventurous. Randay is not only the app, it’s also new Lifestyle. Randay comes from Random and Day words – RANDAY! It almost forces you to leave your comfort zone and try new things more often, to do spontaneous stuff, enjoy life and present moment.That’s what life is about isn’t it? Tired of deciding where to eat? Or what to do? Try Randay, an application designed to eliminate the decision process and automatically picks places near you and for you. Randay is available world wide and creates an adventure like exploration by picking a random spot/place to visit, whether that’s for drinks,food or just tourist places to see. Randay stores places you’ve seen in history and also gives you the functionality to add places you liked to your favorites section.